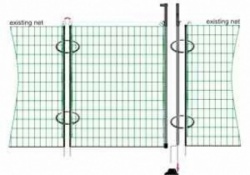 Ideal for free range poultry extra close mesh construction. 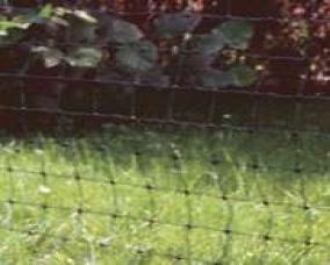 Electric Poultry netting is ideal for containing all types of poultry (including ducks, geese, turkeys etc.) and keeping predators out (i.e. foxes, dogs, cats, badgers and mink). It is easy to move around so birds can be given new pasture, which minimises the problems of worming and gives pastures time to recover. Lightweight and portable containing 12 electroplastic twines, 11 of which are electrifiable horizontals within an extra close mesh construction. Can be used with poultry from about 6 weeks up.The holes in the net are designed to be able to keep the smallest breeds safely in. 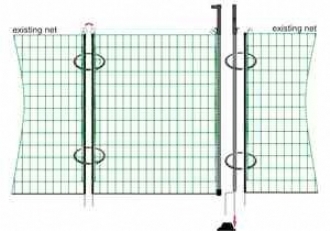 Please note: There is a huge range of quality in electric poultry nets. These nets are made in Germany and are of very high quality. 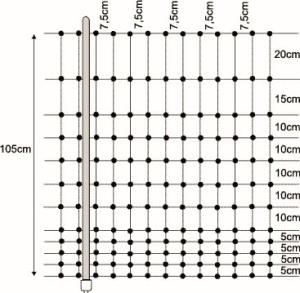 The cheaper nets on the market usually come from China and have much weaker posts, and weaker electrical conductors.